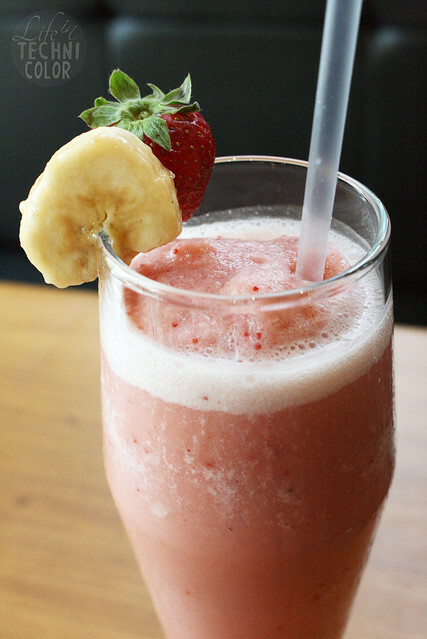 At Applebee's Grill and Bar, there's always a reason to celebrate! They're giving Quezon City residents and professionals an added reason to rejoice with the opening of their second branch in the Philippines located at Eastwood City, Libis! Starting July 4, 2016, Applebee's Grill and Bar is open to serve up good times with great all-American food, tasty premium cocktails, spirits, and soothing libations as well as opulent desserts for the perfect endings to your meal. 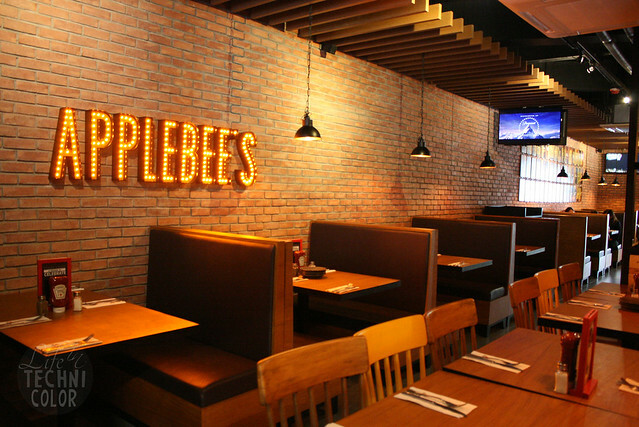 Great as lunch and dinner destinations for the whole family and as a watering hole nightspot after hours with your friends and family, Applebee's enjoins each and every one to Celebrate Everything with them today! 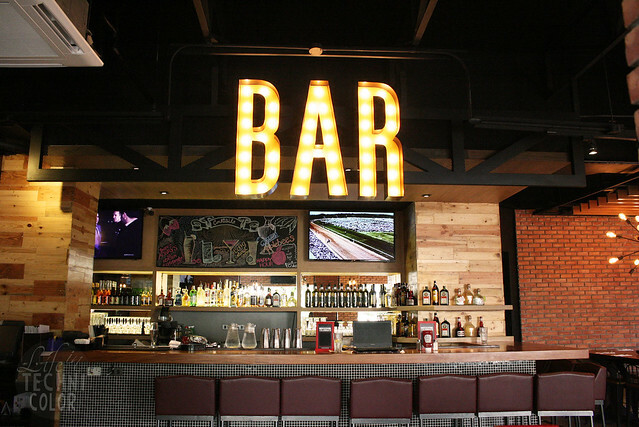 Applebee's Grill and Bar brings together a lively bar and grill experience offering hand-crafted drinks and innovative appetizers and entrees featuring bold flavors and fresh ingredients. 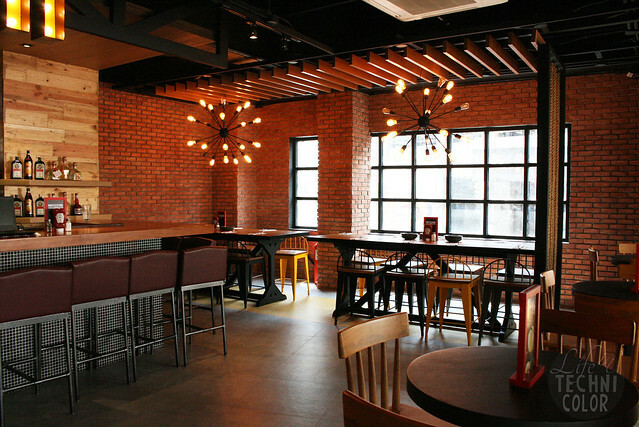 The bar is located at their al fresco dining area, but you can always bring your drinks inside! 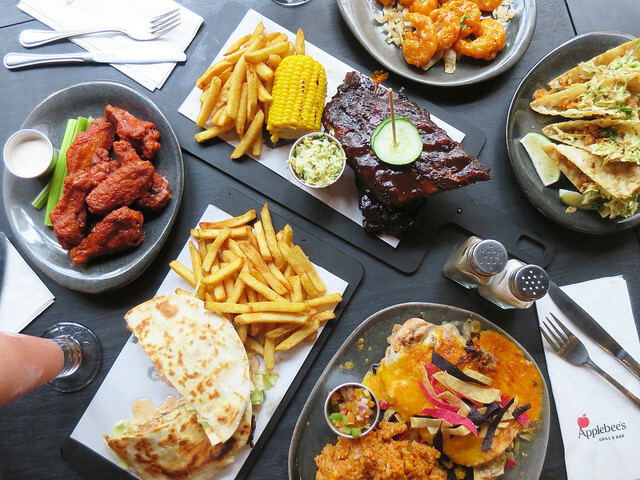 All Applebee's restaurants are owned and operated by entrepreneurs dedicated to serving their communities and offering the best in food and drinks with neighbourly, genuine service. 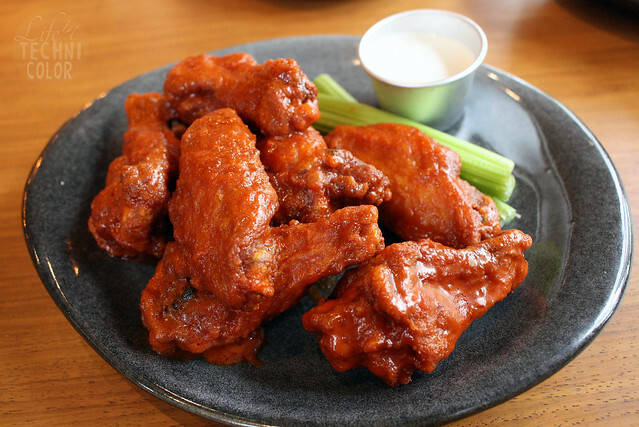 With more than 2,000 locations in 49 states, Guam, Puerto Rico, and fifteen countries, Applebee's is one of the world's largest casual dining brands. .... a bigger dining area! Surprise, surprise! 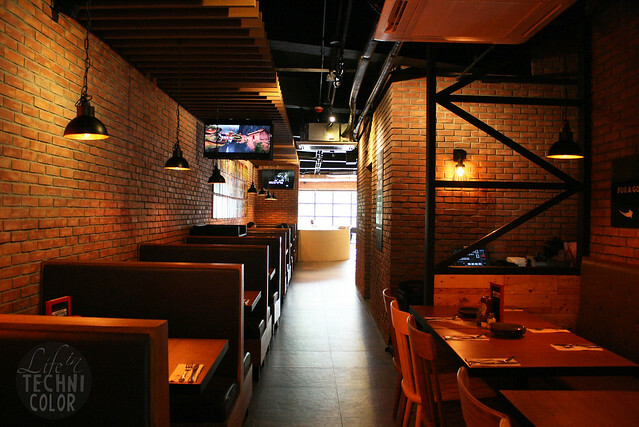 :) I like that most of the seating are booths - it's not only more comfortable, but you also get a bit of privacy whenever you dine here. The ambiance is so homey and welcoming. 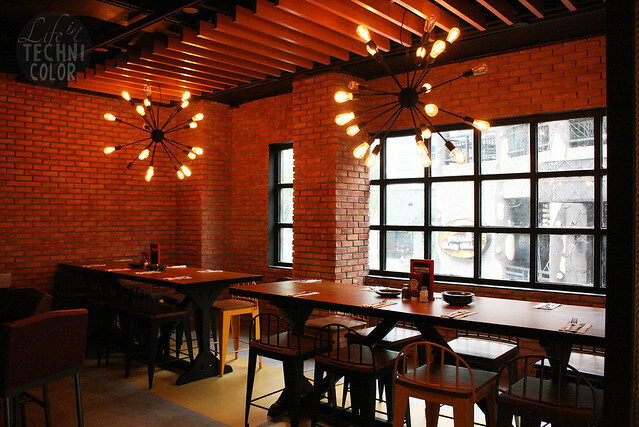 The lights and the decors make it the kind of place you'll want to hang out in the entire day. But most of all, I love this spot! 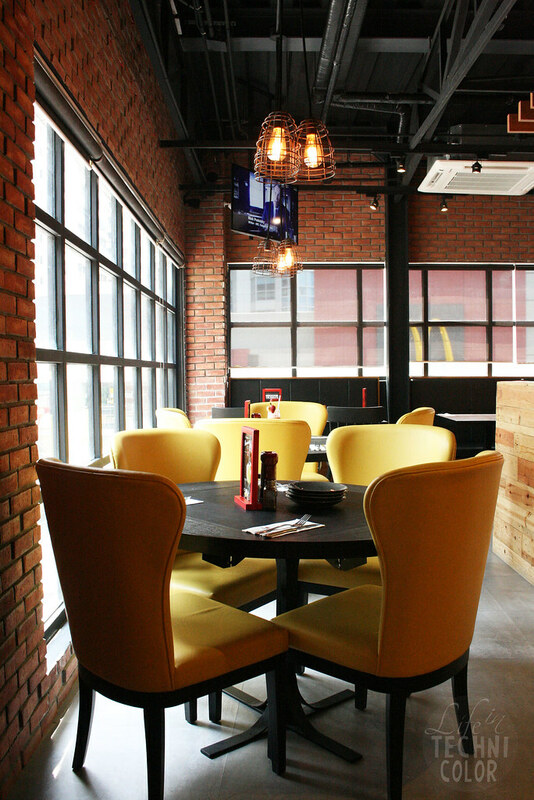 The combination of the yellow chairs and black table beside the brick walls and the huge windows is just beautiful! Being that it was my first time at Applebee's (I've never been to the one in BGC nor in other countries), I was super excited to try the food. We sampled some of their bestsellers that afternoon and left with fully satisfied tummies! 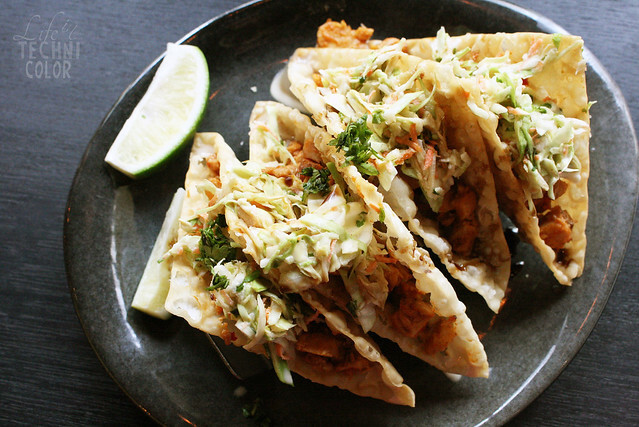 It's completely different from your normal everyday tacos. 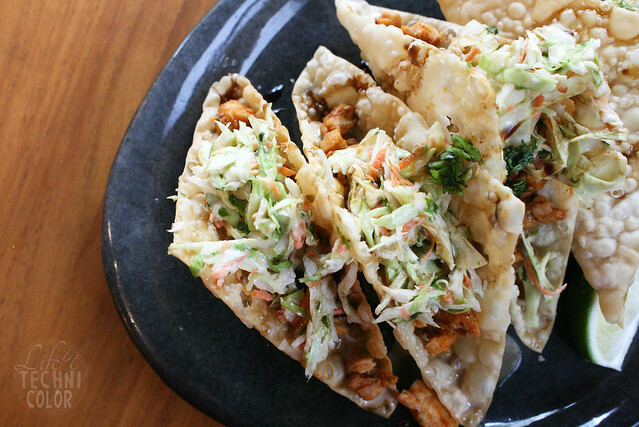 This one uses wonton shells and stuffs it with spicy chicken, coleslaw, and cilantro. It's not overly spicy, if that's what you're thinking. In fact, I recommend adding in a squeeze of lemon to bring out the flavor more. 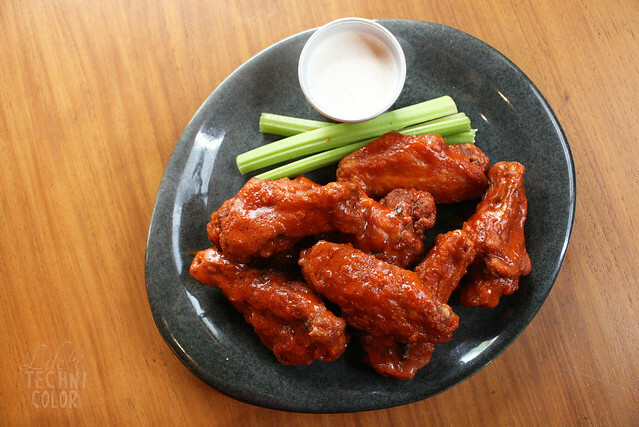 For the wings, you have an option of the following sauces: Honey BBQ, Sweet & Spicy, Classic Buffalo, or Korean BBQ (then either Ranch or Bleu Cheese for the dip). We went with the Classic Buffalo and Bleu Cheese Dip combo and it was perfect! It even has that extra crunch due to it being double fried. 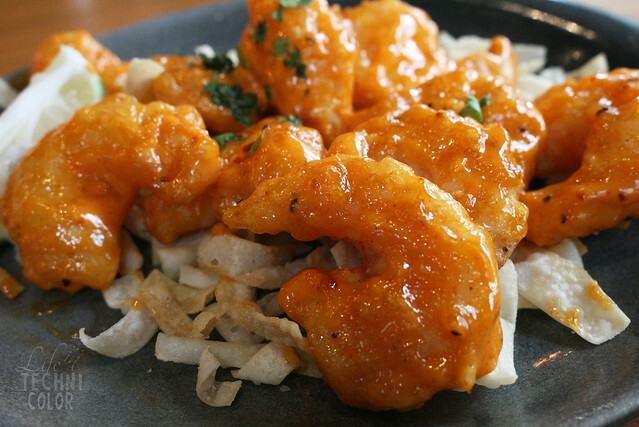 An easy favorite is the Sriracha Shrimps! Here, the crispy shrimps are coated with rich and creamy Sriracha chili-lime dip! It definitely has a kick to it which I extremely enjoyed! It's not so hot the first bite, but keep eating and soon, you'll be grabbing for the closest glass of water! 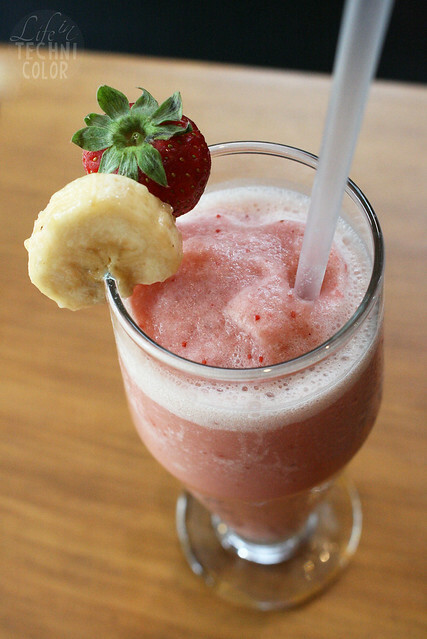 A filling and healthy treat that's super refreshing! 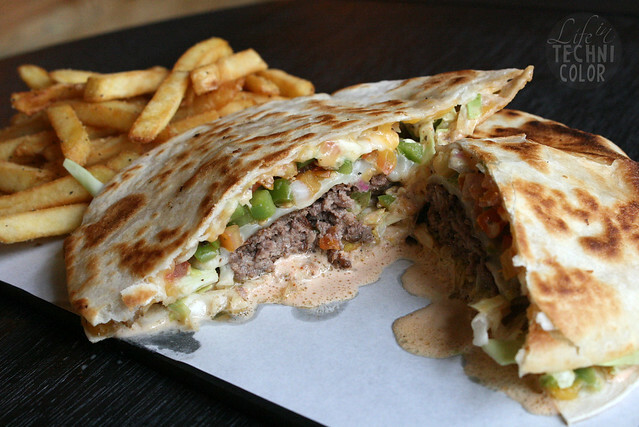 There's no reason why anyone shouldn't try this! 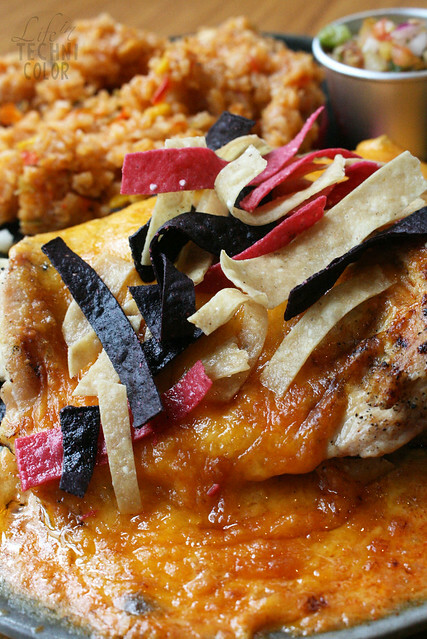 Applebee's dishes are great to share - a perfect example of this is the Fiesta Lime Chicken! 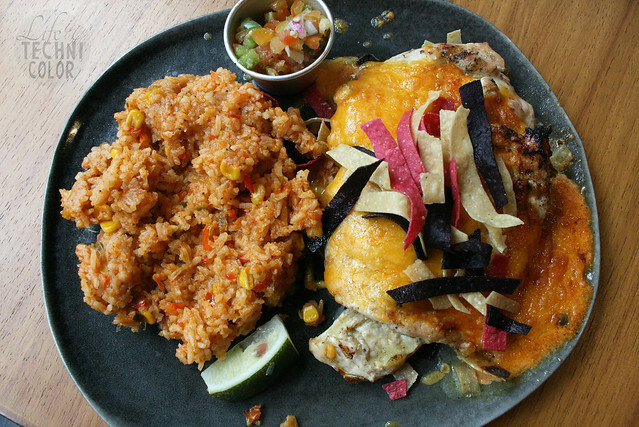 It's grilled chicken done fiesta-style with zesty lime sauce, Mexi-ranch, and Jack-cheddar, then served with crisp tortilla stripes, mexi-rice, and freshly-made pico de gallo. Every single element in this dish is delicious, down to the rice. In some restaurants, when they serve java rice or fried rice, it's usually bland and full of food coloring. 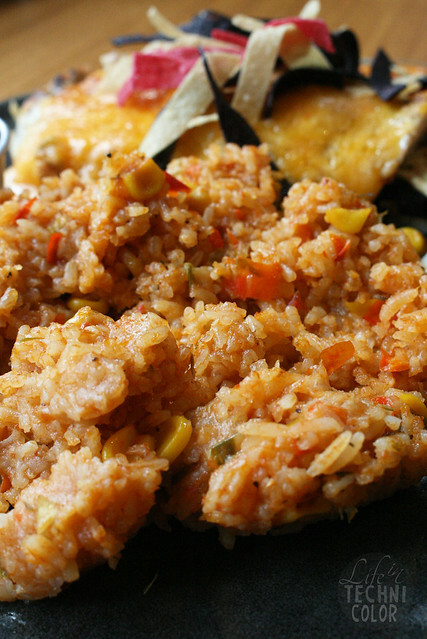 But the mexi-rice here at Applebee's is flavorful, warm, yummy, and comforting. I am making it a point to get this side with any dish I order! The chicken, of course, is not to be ignored. The portions are more than enough for one person. 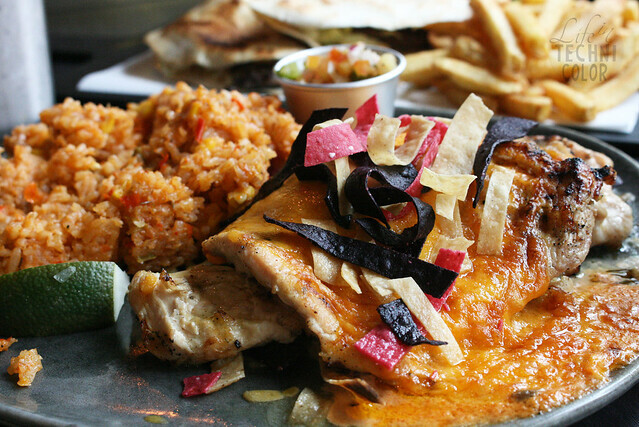 The cheddar and Mexi-ranch, plus the pico de gallo, work together to create an amazing and tasty dish. 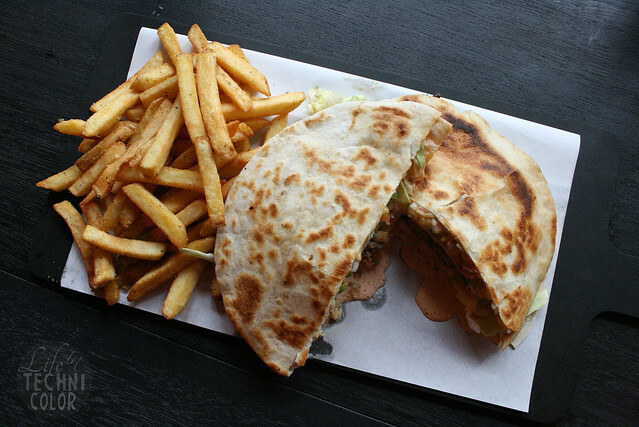 The Quesadilla Burger is a huge juicy burger with Applebee's signature Mexi-ranch sauce with pico de gallo and shredded lettuce served in a unique Jack and Cheddar quesadilla. It is best eaten while warm since it can get soggy if you wait too long. But this is totally my kind of burger! There's nothing usual about this one, so if you're looking to try something unique, order this! Applebee's takes ribs to a whole new level. You can go for the half, full, or half and half! 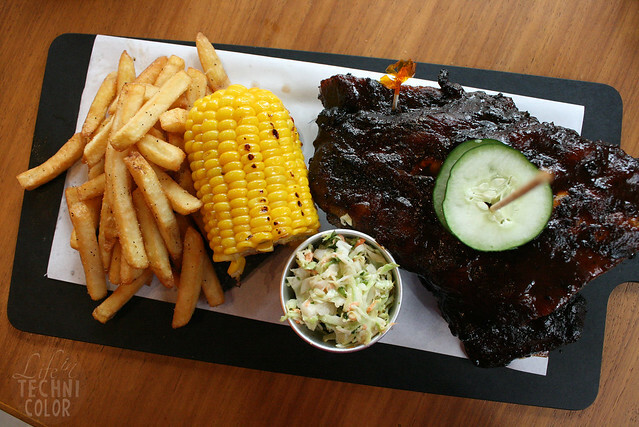 Their BBQ pork ribs are marinated in Applebee's special house blend, grilled to perfection, served with corn on the cob, french fries, and cole slaw with a choice of Honey BBQ sauce, Smoky Chipotle, spicy sweet Asian chili, and Korean BBQ sauce. Of course, we couldn't leave without dessert, so we each got one! Haha! 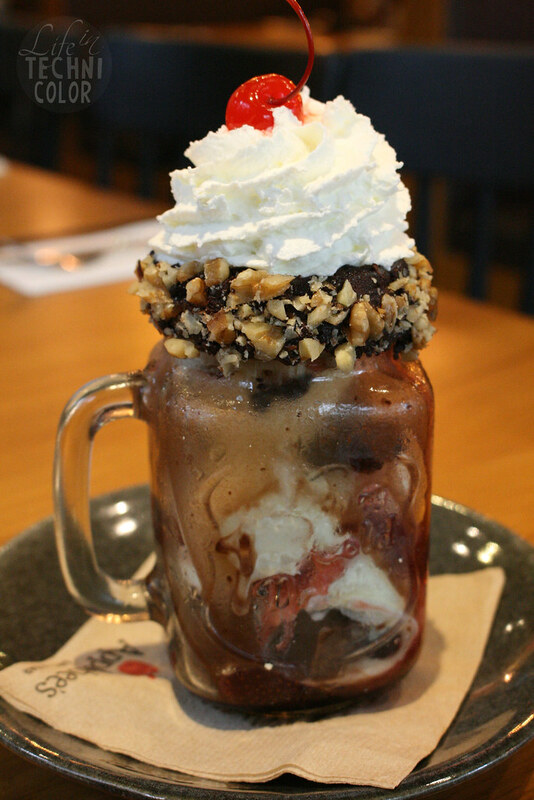 Princess ordered the Black Forest (P295). To be honest, I'm not a huge fan of anything black forest since I don't like the combination of chocolate and strawberries very much, and this one's all about it (plus more). It has brownie chunks, vanilla ice cream, Grand Marnier cherries, and strawberry jam topped with whipped cream and a Maraschino cherry. The brim is then garnished with a hot fudge and pecan nuts to make it look all the more appetizing! It is a really filling dessert, but Princess had no trouble finishing it on her own. Haha! 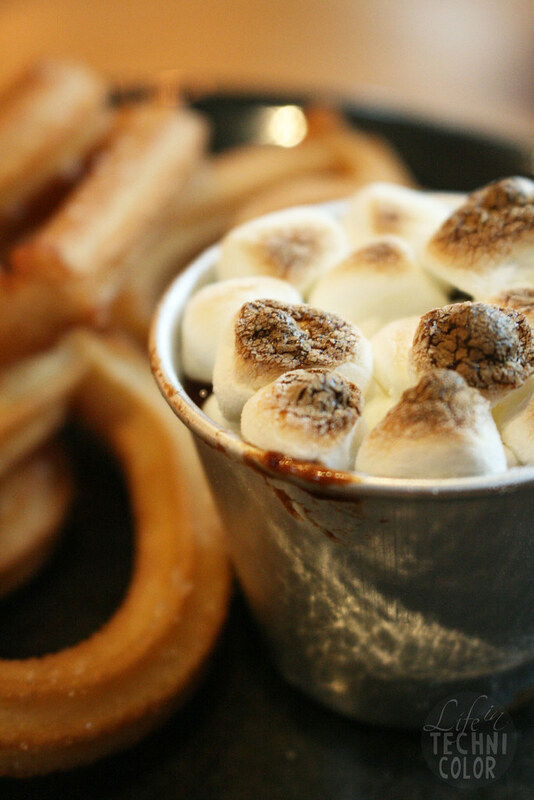 If you want something light, try their Churros S'mores. 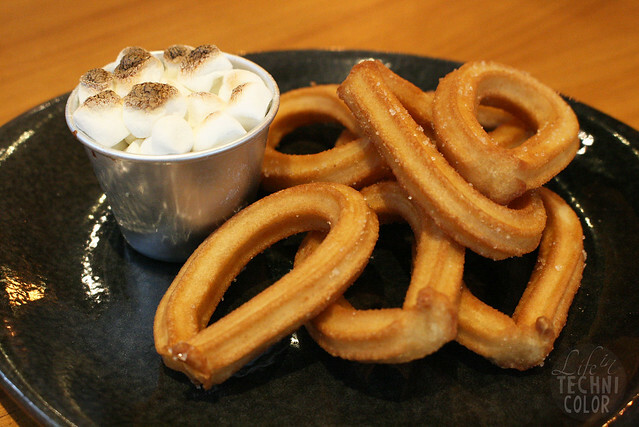 Their special churro twists come with toasted marshmallows and a chocolate dip! The dip isn't as thick as La Lola's, so it's perfect if you just want something sweet (but not heavy) to end your meal. I went with the Butter Pecan Blondie (P325). I was contemplating on getting the Triple Chocolate Meltdown or this, but I'm really glad I picked the Blondie since it's not too sweet (and it's the less common choice). 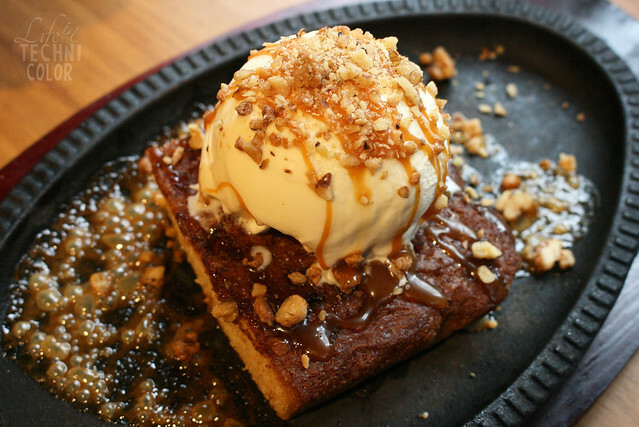 This dessert is baked with nuts, topped with ice cream, glazed pecans, and cream cheese sauce, and served sizzling. If you want it real sweet, eat it with loads of cream cheese sauce, otherwise, I recommend staying off it since it's already good without it. Thank you, Applebee's, for the wonderful and filling afternoon! 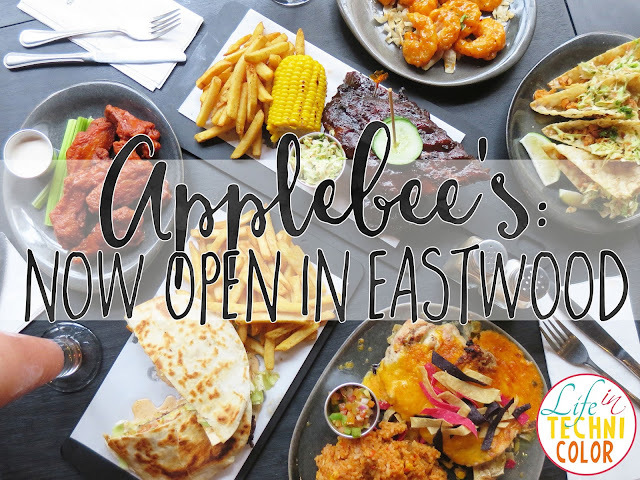 There's always a reason to celebrate at Applebee's - now with two fantastic locations: Ground level W Global Center BGC and Eastwood City Libis! OH yayyy we have Apple bees!!! Need. to. visit. soon!! I'll recommend this to my sister. 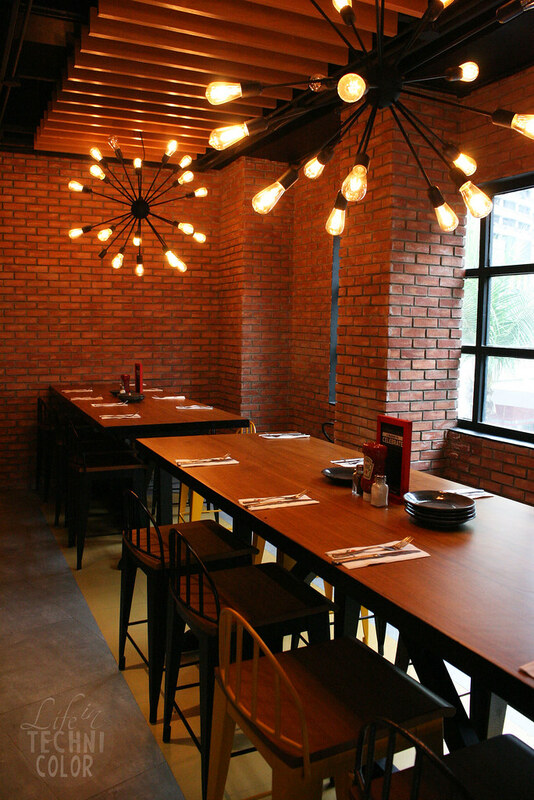 She's working at Eastwood and she'll love to try a new resto near her working place. I'm sure she'll like the food! Thanks, Theresa! 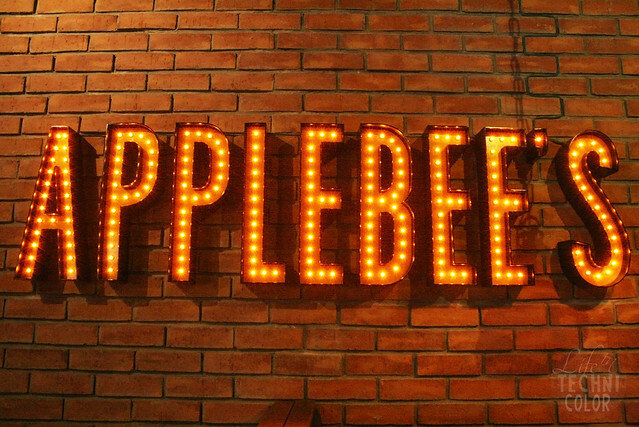 The first time I encounter Applebees is through a friend of mine who works in KSA and after 4 years its in the Philippines. The interior looks great. Very cozy and the food looks tasty. What caught my attention is the churros! The food looks so tempting! I haven't tried this resto. 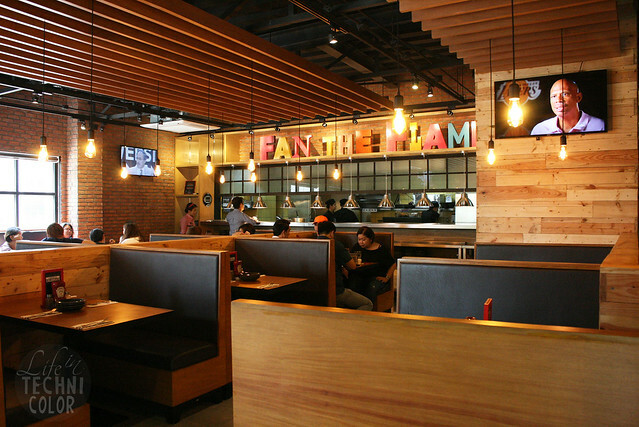 I sometimes pass by their branch in taguig when my family and I hang out at The Fort. We should try their food soon! Thanks for sharing the prices of the food also! Hi Teresa! Yes, visit it with your family! 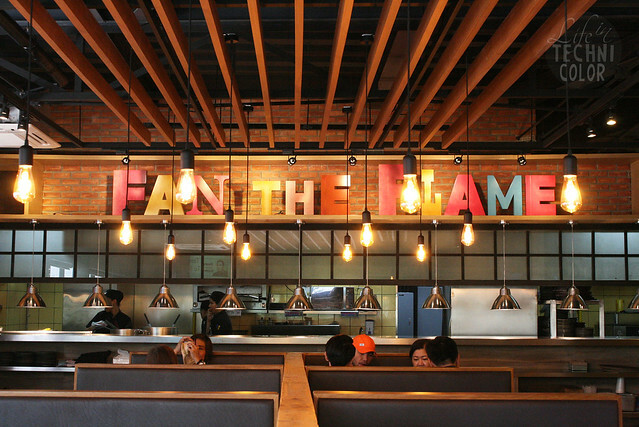 It's a kid-friendly place naman and the food's really good! Huge servings too! Awesome post! Nice review of food you are interest. Hope to see more of your favorites! Oh my goodness , I am almost crying here ! LOL These dishes look so scrumptious! It is a very nice location , I love the clear basic style . The little tables by the window look cozy. The ambiance left me in awe! Really! Anyway, as for the price, is it just me or what? I find it a little bit pricey but nonetheless if each food is really that satisfying, I won't wonder of its cost then. I like the drama of the rustic and urban feels in the cafe. Also of all the foods served, my eyes went directly in Churros S'mores. How I wish Libis just a stone-throw away . They have another store in BGC if that's nearer where you live? :) Anyway, yes, I love the ambiance too! And the churros! Wow! This is the kind of diner my boys would surely love. But surely as well, the one who would pay for the food will be overwhelmed as well. There are just so many dishes and drinks to try. And even if I watch what I eat now and so doea my husband, going here means no diet but pure indulgence. Hi Berlin! 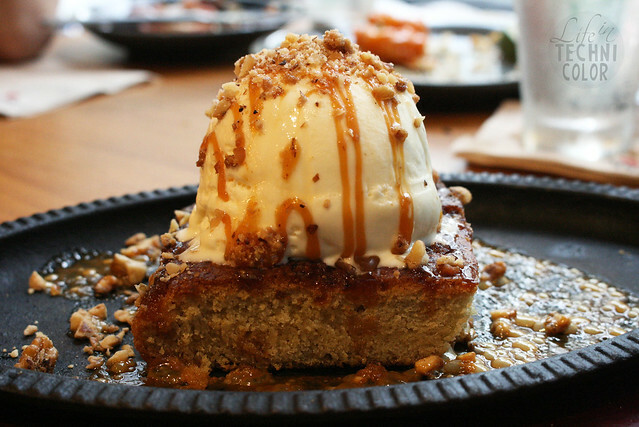 Yeah, the dishes are really heavy, and the desserts are sinful, so plan your visit ahead. Maybe eat less a few days before or go to the gym more often hahaha!! I am completely in awe of your photographs, in fact it was the first thing I noticed! Absolutely gorgeous! I find Applebee very US-sounding! I've only tasted these kinds of food with a family friend from the US. I love the ambiance, it's something you can find in Maginhawa. But it's also posh and upscale. Hope to try it soon! 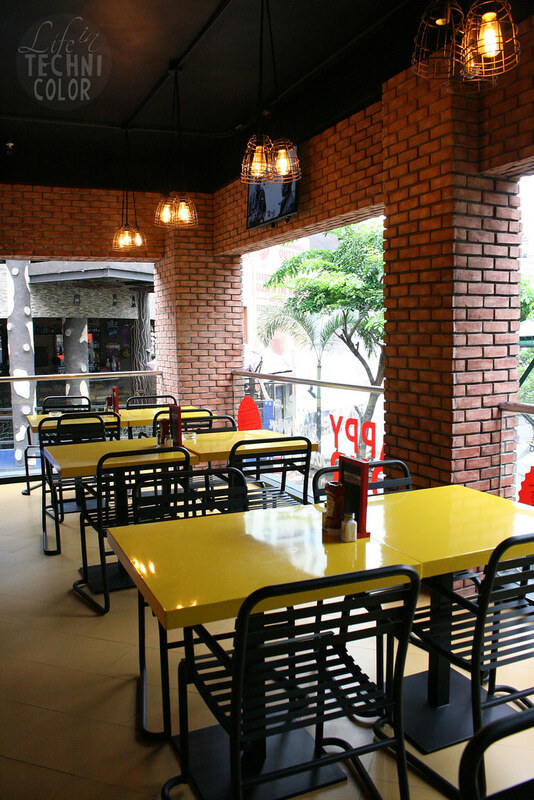 We have so many great places to dine at now, they just keep popping up all over! It's so hard to keep up :P But yeah, hope you get to try it soon! :) Thanks, Sam! 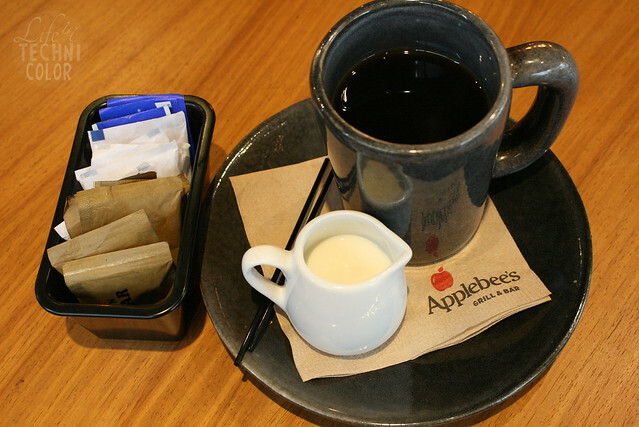 Oooh I miss applesbees. There used to be one around here, but that's already gone for years. I haven't thought it for quite a while now, but your post made me remember. I love how it looks. And I see chrurross... Love that! Well, I love it all. Looks like a great place to eat. I have a hankering for the desserts! They look delicious!